Once someone enters the internet world, they start to see many ways for them to earn money online. There are at least a dozen ways to make money online. These include how to make money blogging, affiliate marketing, eBook revenues, freelancing with sites like Upwork or oDesk, earning from AdSense, and so on. But if we were to choose the best 2 options to make money online, blogging is usually number one, followed closely by monetizing YouTube videos. These stats are just the tip of the iceberg when it comes to ‘Video Content’ being the largest medium. But what most of you should keep an eye on is the second stat which says 87% of online marketers use video. There are people out there who make a lot of money with YouTube. There are even some artists who are earning over $20,000 every day from their YouTube videos. How do I register for the YouTube Partnership Program? Assuming, you are eligible for the YouTube Partnership Program, here are the things you need to do. Sign-up for Adsense via YouTube: Alternatively, you can choose to sign-up for an Adsense account via YouTube. Click on this link for the step by step process. Once your account is approved, you can monetize all your uploaded videos and also your future videos. In the below screenshot, you could see earning from YouTube AdSense partnership program. One of the oldest ways of making money for celebrities (Especially artists) has been through merchandising. 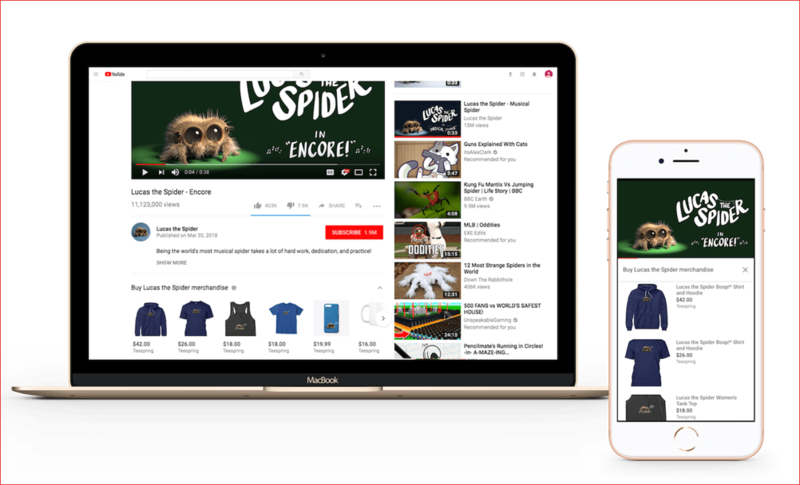 Merchandising is an option for popular YouTube content creators to make money through their subscribers. YouTube understands this is a money making opportunity for creators and have partnered with a few merchandising companies. You can check the eligible companies here. One of the best services when it comes to merchandising in Teespring. They take care of the production and distribution of your merchandise and you can make a solid profit per piece of merchandise. However, if you have an active community on YouTube, merchandising could be a real profitable avenue for your channel. You can use a platforms like Shopify or Squarespace to manage everything of your own. This one is recommended for professional vLoggers and those who have a team to help and manage. 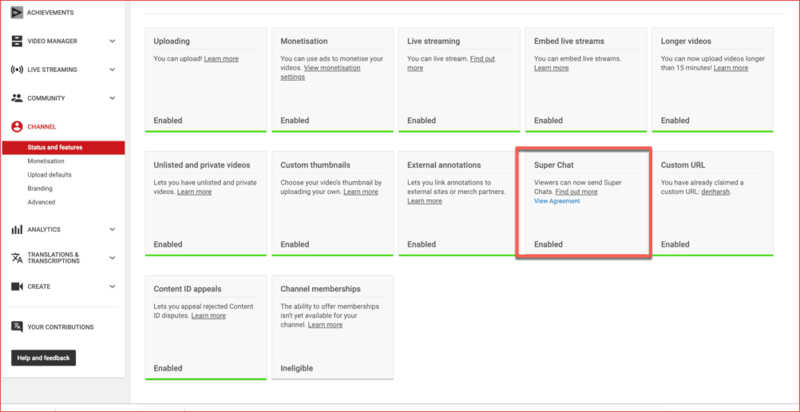 Another way to monetize your YouTube Channel is through the YouTube Super Chat feature. YouTube introduced this feature in late 2017 to a few of their content partners. This feature is rather simple. During a live feed, if a person wants their comment to stand out and be pinned for a while, they have to pay. This money goes directly to the YouTuber. You can head over to YouTube features page and look for Superchat option and enable it. Just a while back, YouTube launched the ‘Sponsorship’ feature which has been renamed as ‘Channel Membership’. Channel Membership let’s eligible YouTube Creators to collect a monthly subscription fee from their biggest fans. In exchange, fans get access to exclusive content, perks, and badges from their favorite content creators. If you are eligible for Channel Membership, you will get notified by YouTube. You can also check your eligibility status on this page. You can choose to either, switch on and off your channel memberships from the above link. One of the ways fans can show true support to the creator is through crowdfunding. As a concept, crowdfunding is taken off. People get together, pay small amounts of money to get a physical product or a digital product made. Content creators often use crowdfunding platforms to make their monthly quota of money. This is done in the early stages when they haven’t reached a certain subscriber base or don’t have other monetization strategies on the horizon. Here is a list of all the platforms one can use to crowd raise money. One of the most popular platforms in this space is Patreon. Before you actively start selling your content for sponsored videos, here are a few things you need to work on if you haven’t already. Get your basics right. Make sure to have a beautiful logo and all your content has amazing thumbnails, that represent your style. If your logo is from a free logo maker site, don’t expect companies to take you seriously. Spend a few bucks and fix your branding. You can hire someone from Fiverr or 99designs to create brand material for your YouTube channel. There’s another huge mistake early YouTubers make. They want to do everything all the time and they don’t stick to a particular niche. For example, if you start with a food recipe video and then in the next video you talk about fixing issues on the computer, your subscribers will not know what you’re selling. Your subscriber base will be scattered and companies will find it hard to identify with your audience as they are thinned out. Understanding that your content is what brings subscribers, views and ultimately money is important. Without your content, your business doesn’t exist. Make sure to think of new ideas, ideate with a few friends, write scripts to better the content, retake the bad parts and so on. At the end of the day, you should be putting your best work out there. Everybody is not your target market. Companies from a specific industry will only be suitable for your business. Identify the industry and identify a few companies and prepare a list. Before you get to the big wigs, you need to find the small fry. There a lot of small and medium businesses that are looking for advertising services. Collaborate with these companies and start small. Slowly, you will build your reputation and you can aim for larger companies. Famebit is a YouTube company and they connect content creators to brands. There is no cost to sign-up and it is absolutely free for both the creators and the brands. You need to have 5,000 followers to join Famebit. Local businesses are ideal as you can meet them face to face and pitch your content. When you run a YouTube channel and you are serious about it, you need to start thinking like a business person. The first thing any entrepreneur should be good at is, selling. Selling is everything. Here are a few ways to reach out to companies. One of the other ways to make money is through promoting Amazon products. Generally when content creators who make money through Amazon affiliates, generally review their products on the channel. After the review, people buy the product through the link and the creator makes money. This method will let you earn a large amount of money in a very short time. All you need to do is pick the right product, create a video around it, and put the link in the description. You earn per sale and usually (depending on the affiliate partner) the payout is pretty nice. You can learn more about affiliate marketing in this post. 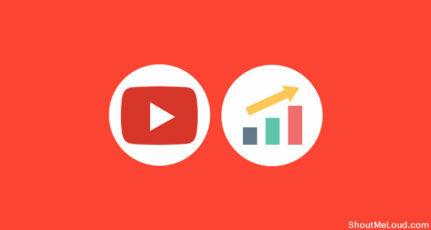 One of the best ways to use YouTube is to actually drive traffic to your own website. Many YouTubers drive traffic from their YouTube pages to their website by cloaking their links. One of the best parts about being a YouTube creator is having fans. After you hit a critical mass, fans appreciate one on one interactions and communication with you. If you want to take this relationship to the next level and make money off of it, you can join a platform like Worthyt that lets you get paid to answer fan questions. YouTube Premium is YouTube’s answer to Netflix. 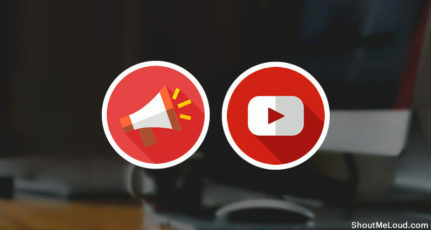 Under this, subscribers can enjoy ad-free videos, original and unique content, play the YouTube app in the background, download videos to watch when you are offline. 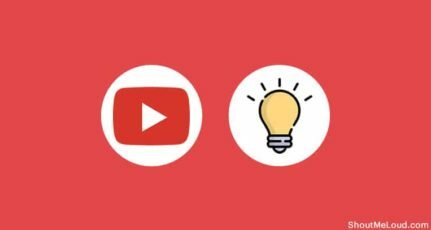 In a nutshell, YouTube can help you earn money if you don’t have a blog or if you are still in the process of building one. And once your blog is all set to go, you can put the video version of your blog posts on YouTube to earn some extra bucks. YouTube supports almost all video formats and you can post videos in a wide range of categories. You can post about your trip to Milan or do a video review of the AirB&B or hotel you stayed in. You can also make tutorials about WordPress, hosting platforms, and other blogging or tech-related things. There is a lot of software out there which will let you record your computer screen making on-screen tutorials easy to produce. Have you been using YouTube? Have you been making money? Let me know in the comments below. 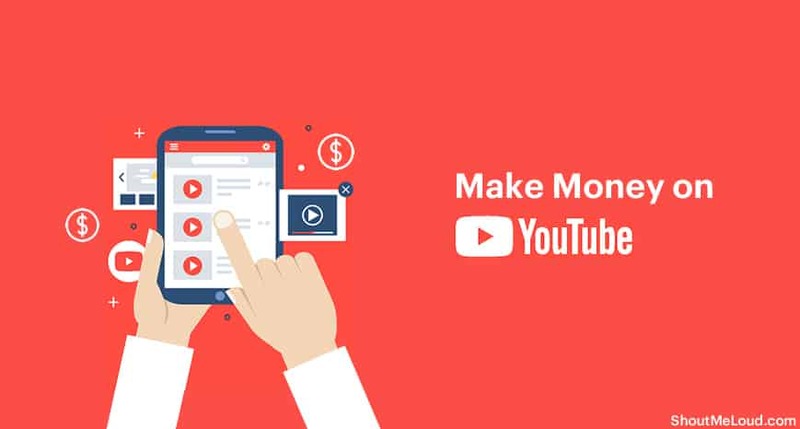 If you have any questions or would like more information about how to monetize YouTube videos, ask me in the comments. That depends upon many factors & one of them is how a visitor discovered your post. Which Keyword he is using as a search query to discover your content. You should focus on making your video rank for 1-2 keywords & it can be either of them which would be making money for you. Will youtube adsense approve android gameplay videos ? i am running a YouTube channel and have more than 50k Subscribers and before two months i started my blog. so my query is i earn very small amount of money from YouTube with ad-sense, now i am preparing my blog for Ad-sense approval ready so can i link my blog with the same existing ad-sense account which was associated with youtube or with other ad-sense account with someone else name? because if i link both of them then their are probability of increasing the CTR rate which will lead to ad-sense disable. what to do any suggestions? You Tube standards are down since taking over by Google. Copyright strikes are difficult to overcome. Music like software should be in the free domain like Linux. But who can stop Google’s monopoly? Old Rock Songs is a perfect example of difficult uploads. No, You can upload video. But the condition is that it should provide value to the viewer. 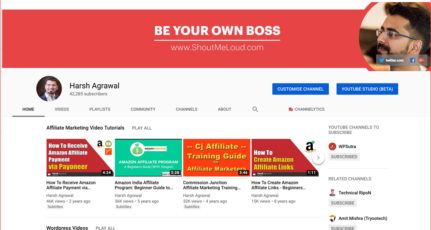 as you see there are lots of tech channel on youtube so to get success is a little bit difficult, you have to work hard and provide great quality of content.